Ten hours (and counting) downtime could screw your daily objectives streak. Update: PlayStation 4 servers are now back online. The status page shows all platforms as being online, with no issues. Rockstar has not revealed the reason for the 20+ hours of downtime as of yet. Original story: GTA Online’s PS4 servers have been down for at least 10 hours. 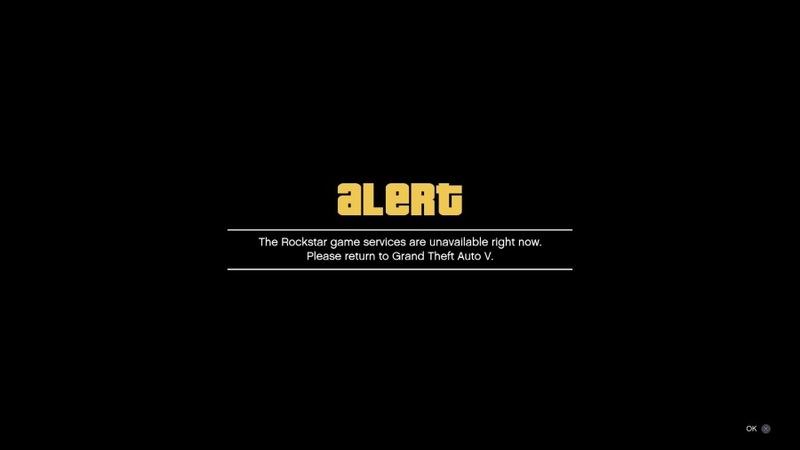 Rockstar has acknowledged the problem with a notification on its official site, but players are getting a little frustrated. If you’re in the middle of a completing a run of daily objectives you’ll be getting more that a little nervous. If you can’t complete a week or month long streak you’re going to miss out on a big pay out. Players who do seven and 30-day streaks of Daily objectives are rewarded extra in-game cash and RP. When you trying to do your Dailies for #GTAOnline and it's down for the #PS4 @RockstarGames Im trying to do the month long daily's CMON!! Keep an eye on Rockstar’s official site and Twitter, and we’ll update just as soon as the PS4 servers come back online.